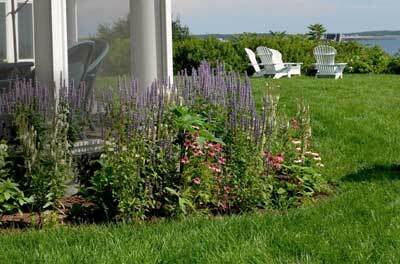 Creating beautiful and sustainable landscapes CL Design & Landscape provides landscape design and installation throughout southern Maine. We focus on organic, sustainable and environmentally friendly landscapes that complement your lifestyle and architecture. We are a landscape designer in southern Maine specializing in creating naturally healthy and self-sustaining spaces for outdoor living. 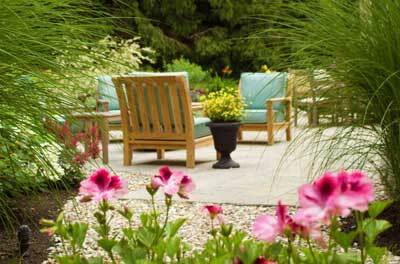 Our natural approach to landscape design and maintenance provides safer, healthier, and low-maintenance landscapes. From design to installation, from stone walls to plant selection, we have the experience and knowledge to create a healthy, beautiful landscape that will bring you pleasure for years to come. Check out our services, and see how we can help you.